Hi, I'm Steve Arnold and I've helped over 6489 photographers create better photos via my premium online training courses so far on postprocessingmastery.com. 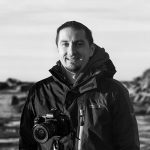 I've built Photo Mastery Club as a brand new and totally unique website specifically designed to help me reach even more Photographers around the world with the support they need to grow and achieve their goals. To find out how this website and membership can help YOU, click here.